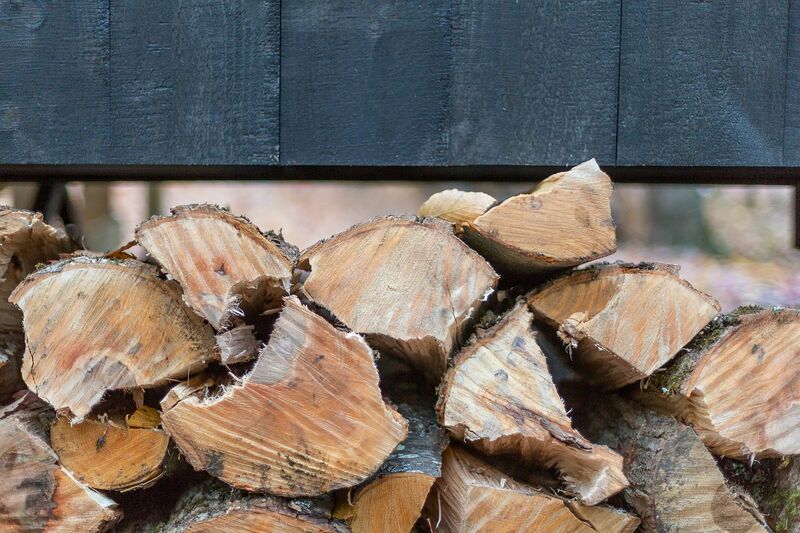 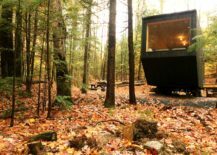 As holidays roll in, the idea of moving away from the bright lights of big cities and spending some time in the cabin in the woods is something that feels appealing to all of us. 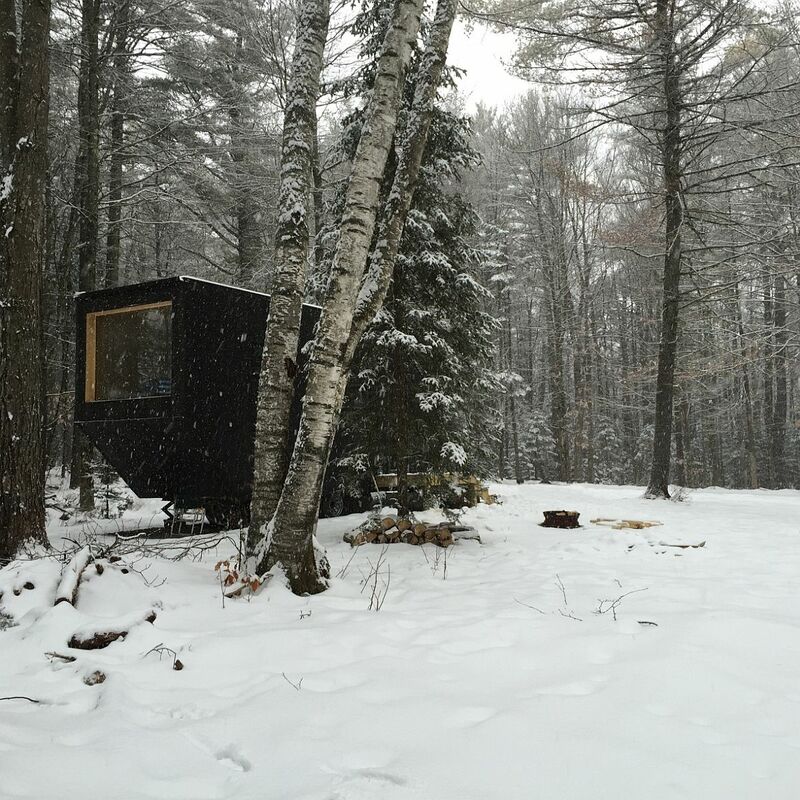 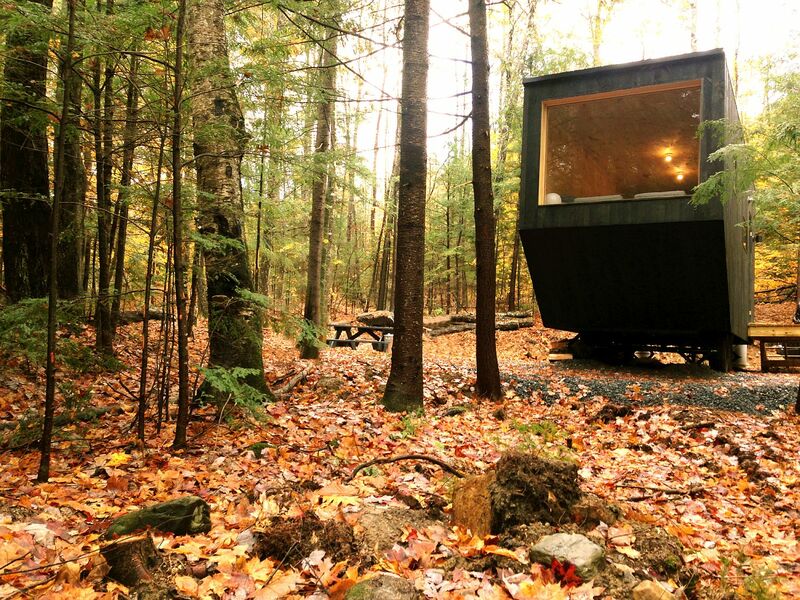 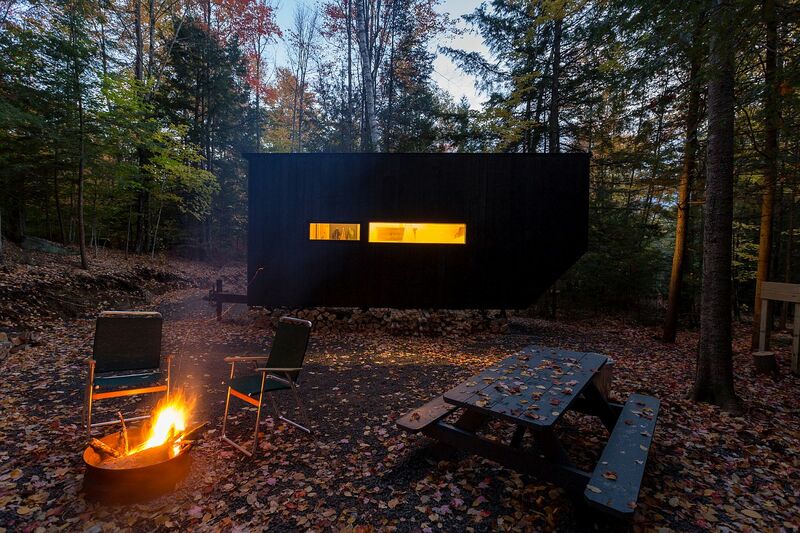 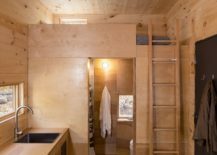 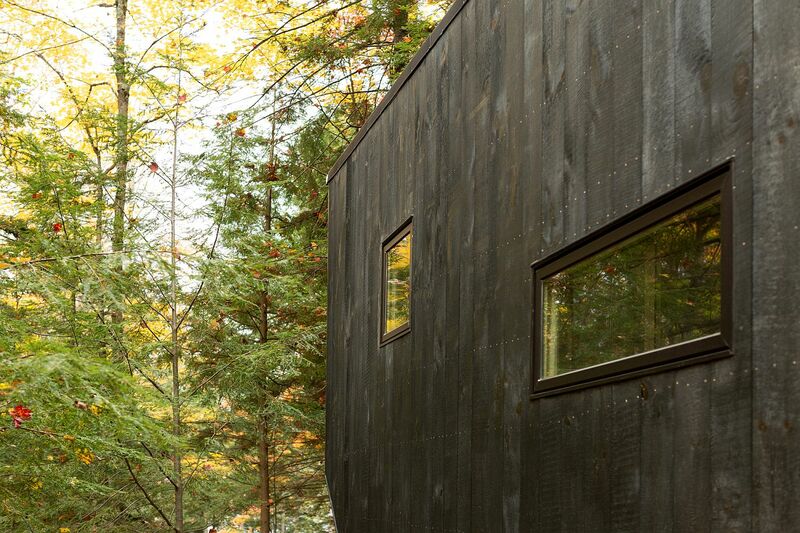 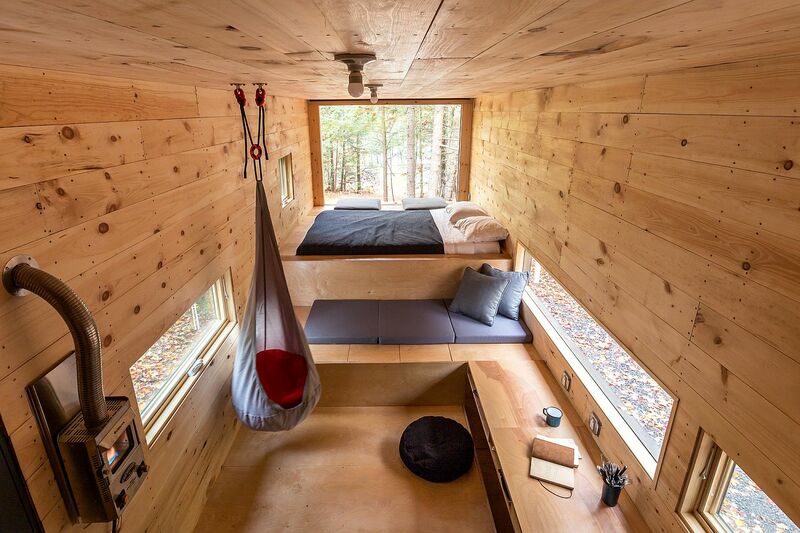 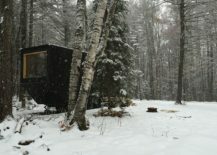 Designed to reduce wastage of both resources and energy, this tiny cabin in the mountains of New Hampshire offers one such safe refuge. 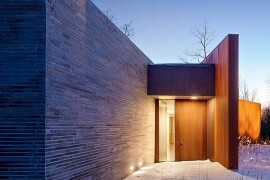 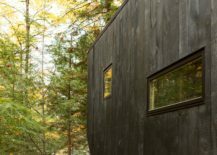 The modern cabin design by Wyatt Komarin, Addison Godine and Rachel Moranis is dark on the outside with the interior embracing a much lighter, wooden tone. 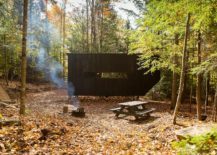 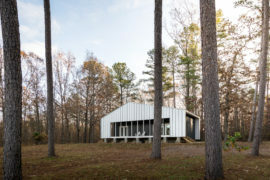 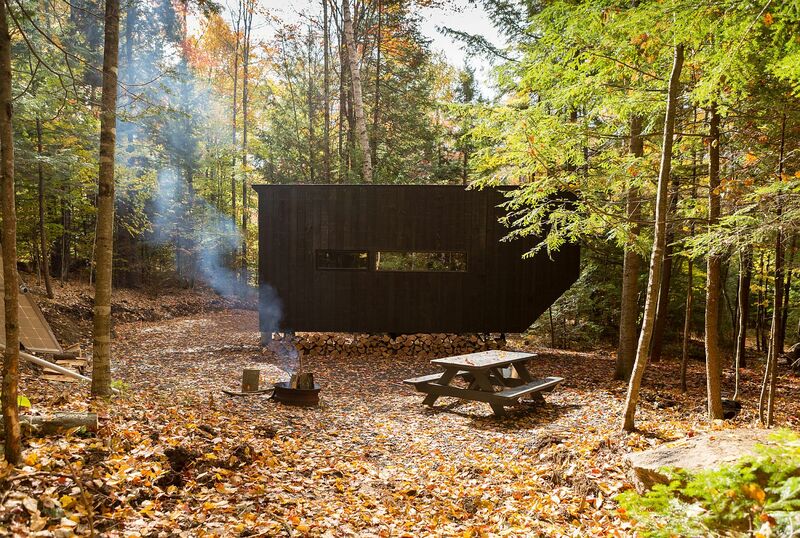 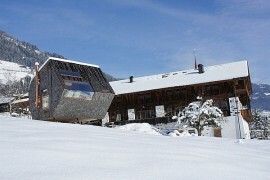 With an overall silhouette that keeps its footprint down to a minimum, the form of the retreat was conceptualized keeping in mind the constraints of its remote location. 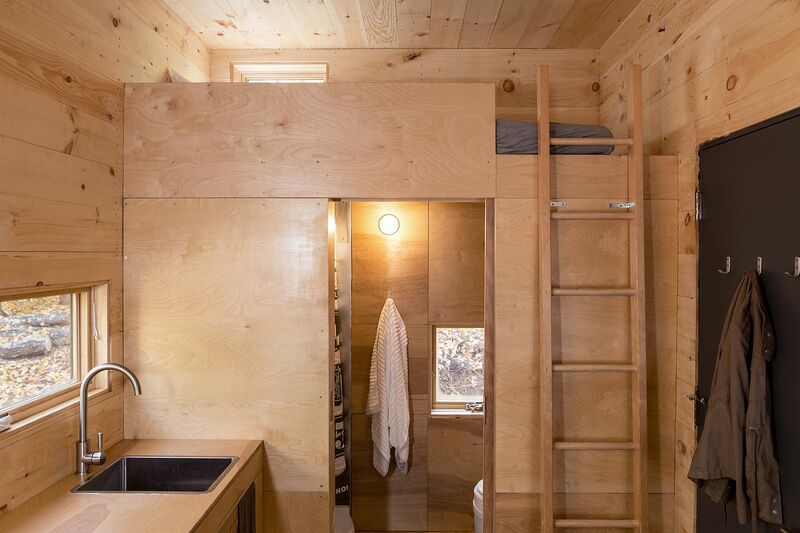 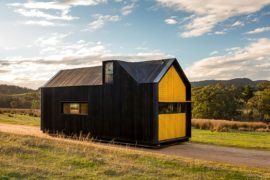 The 160 square feet of space inside the cabin might not seem like much from the outside, but step in and you will notice how its versatile and adaptable form makes up for the lack of it. 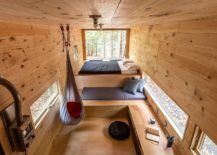 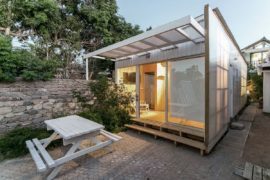 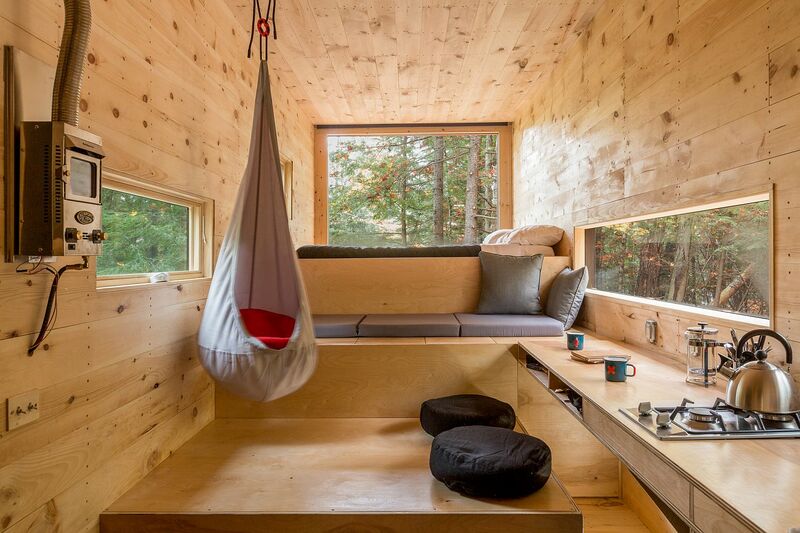 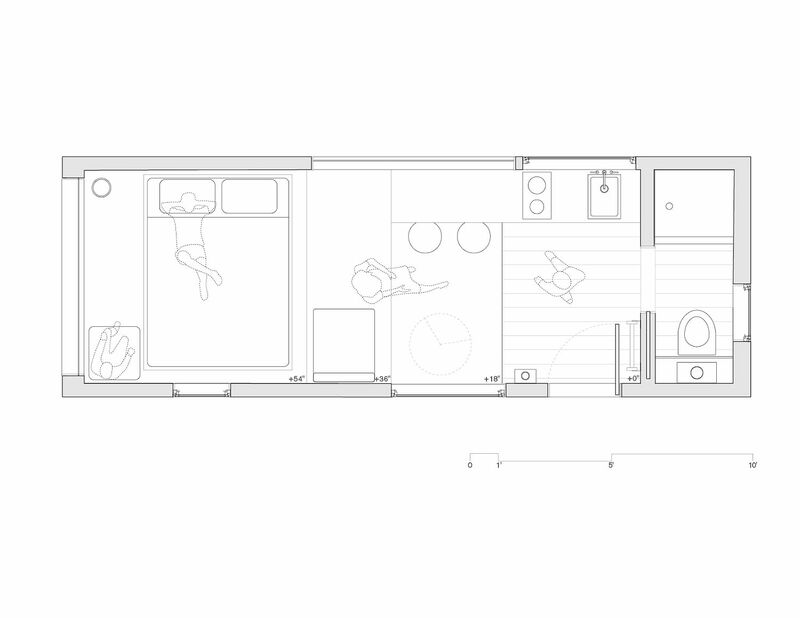 Each area inside the cabin can be used in multiple ways and with various configurations, making it a perfect hangout for those who want to live with less. 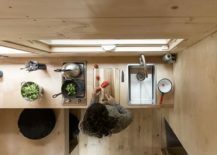 A kitchen area, twin sleeping quarters and small living zone can be used in more ways than one with three windows bringing in ample natural light. 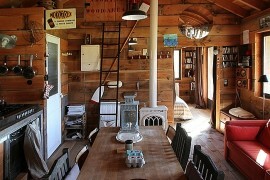 Tiny Holiday Cabin In Normandy Charms With Its Disarming Rustic Goodness! 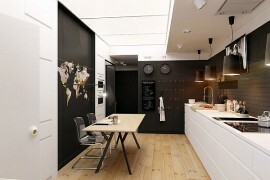 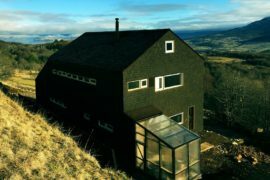 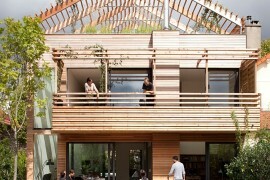 Future Housing: Tiny Home with Green Technologies and Automated Controls is Here!